If new rumors are to be believed, we may be hearing a lot more besides the Google Pixel 2 at Google’s big presentation on October 4. 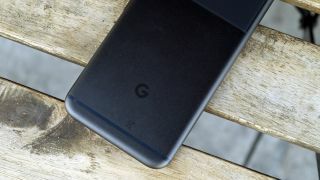 According to sources speaking with 9to5Google, the company is planning to announce a “Made for Google” program for certifying third-party accessories. There’s a chance this is just coincidental timing: even if the program is real, it’s possible we may not even hear more about it until after Wednesday's Pixel event. Apple has had a similar program in place since 2005, which it calls “Made for iPhone” (or iPad or iPod, depending on the device), or “MFi” for short. As an example, here’s a list of what we consider the best MFi game controllers for iOS devices. The idea behind such certification programs is that customers will see a label on physical packages and know they’re getting a product the company approves of, and not some shoddy and possibly dangerous knockoff. In its case, Apple maintains quality control by making sure some specific parts used for these accessories come from Apple itself, particularly if they hook up to one of the iPhone 8 maker's devices. That scenario may slightly differ for Google, which is quickly shedding its software-only past for a future filled with hardware, including its own Chromebooks, smart speakers, virtual reality viewers, and the Pixel phone. The first Pixel phone was well-received, though, and the reveal of the second generation may present a fantastic opportunity to announce a supported licensing program. If so, we’ll likely see a few examples of products Google has approved as well. So far, though, all we really know is that this program likely exists and its name (which may turn out to be temporary owing to its obvious riff on Apple). More rumors should appear in the coming days, or — of course — the official announcement of the program itself.